Well, that went by quickly, didn’t it? The anticipation of the Galápagos trip lasted for months, and then it was all over in a flash. I’m editing hundreds of photos and struggling with how to write about it. There were highs and lows, as there are with any travel experience. The highs revolved around the wildlife, so that’s the part I’m going to write about the most. The less enjoyable parts were things like travel delays, regimented daily schedules on the ship, and a little bit of altitude sickness in Quito. I’m not going to recap the trip day-by-day, but rather just share my photos and thoughts about the animals. So let’s get started with, what else, blue-footed boobies! 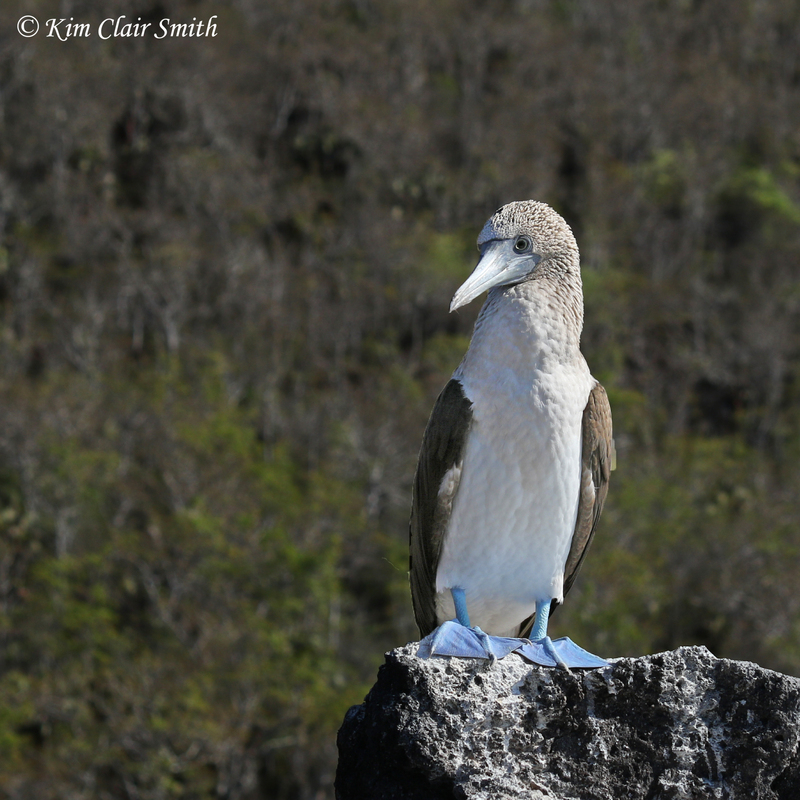 I’d say that, along with the giant tortoises, the blue-footed boobies are one of the most sought-after species by visitors to the islands. Even though they’re found in other parts of the world, they’ve become iconic symbols of the Galápagos. My first close encounter with these striking and comical birds was when our zodiac boat floated past this one standing on a rocky outcrop at Rabida island. 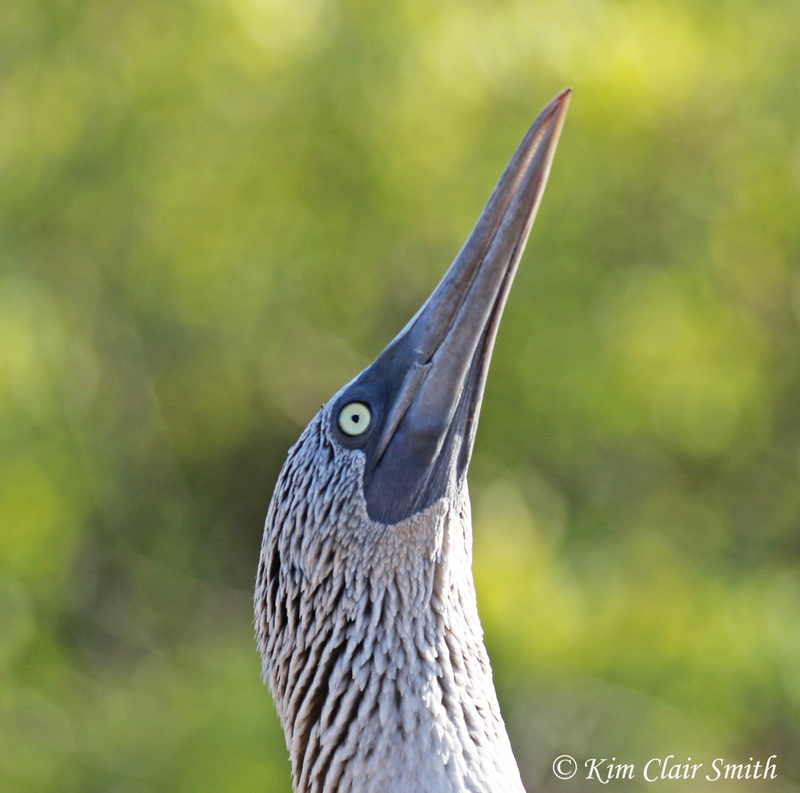 As you can see, the bird showed virtually no reaction to the appearance of 15 humans a few yards away. That’s one of the most amazing things about wildlife experiences in the Galápagos — the animals don’t flee when we approach, as they do in other parts of the world. Most of these islands are so remote and devoid of people that the animals don’t understand that humans are a source of danger. It’s actually heartbreaking to realize that the entire animal kingdom has to fear us; I felt the gift of this precious experience deep in my heart every time I was able to have a close encounter like this. I admit that it was a bit disconcerting to feel joy and sadness at the same time. 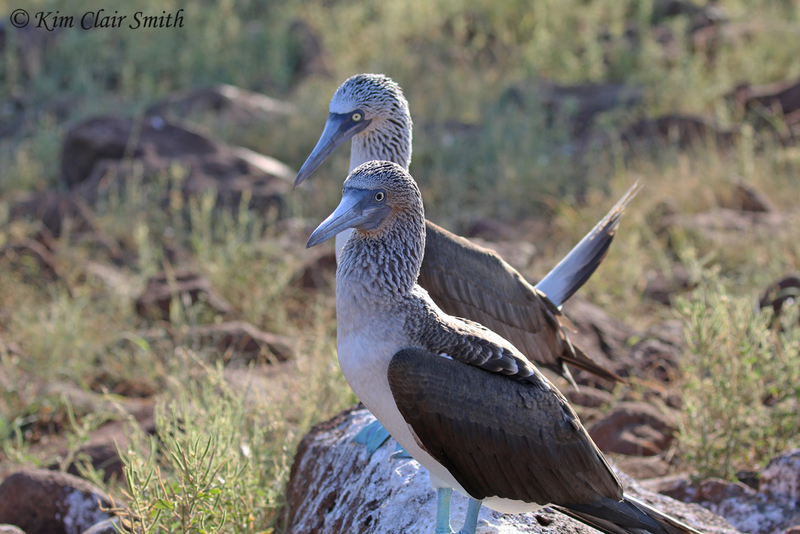 Here’s a video of the blue-footed booby courtship dance, one of the highlights of the trip. I giggled at the beginning because it seemed that the female (on the right) leaned over and commanded the male to dance for her. And, as you see, he obliged her. Notice the difference in pupil size between the sexes; the male’s pupil is smaller than the female’s. 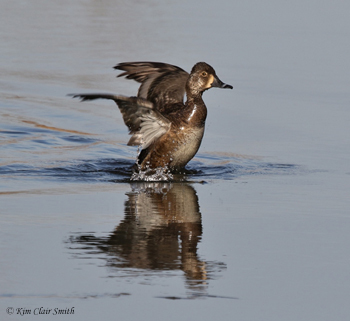 She’s also larger-bodied than he is, as is common with many birds. A few minutes later I was supremely lucky to come upon another pair of boobies standing just a few feet from the edge of the trail, and was able to use my cell phone to record them mating! The population of blue-footed boobies in the Galápagos has suffered in recent years due to a decline in sardines after the 1997 El Niño. You can read more about their struggle for survival here. 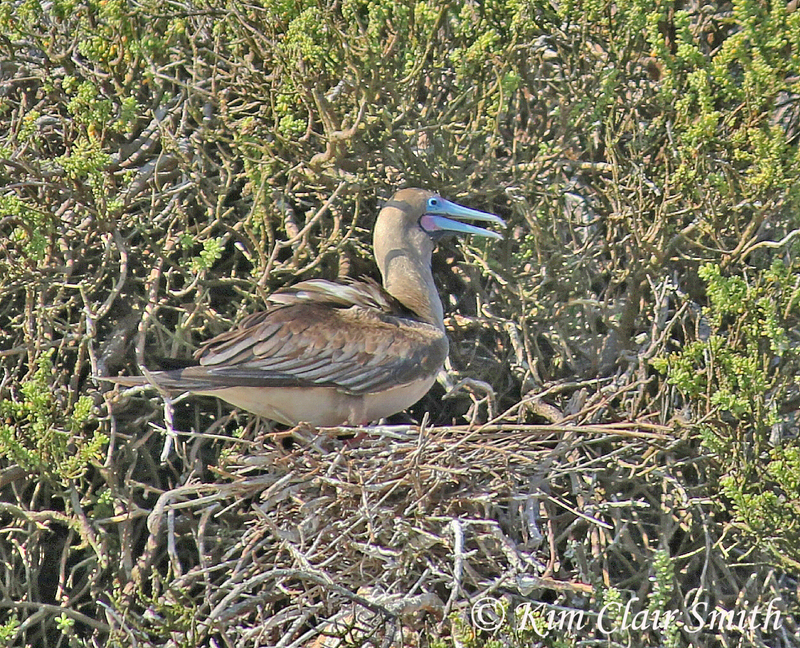 We also saw two other species of boobies on this trip, the red-footed and the Nazca booby. The red-footed booby is the only one to have several color morphs, and it’s also the one most likely to be found nesting in trees rather than on the rocks (at least I think that’s what our guide said). I was enchanted by the pink and blue coloration on the beak of this cartoonish bird and would have loved to have seen one up close instead of 75 feet above me on a cliff, as this one was. I want to point out that most of my photos on this trip were taken from zodiacs that were bobbing up and down on the ocean waves, so the sharpness of the images is much less than I would have liked. But even so, I hope you enjoy seeing them. I’ve got much more to show you in upcoming posts…the only penguin in the northern hemisphere, the only nocturnal gull in the world, and the most beautiful lizards you’ve ever seen! 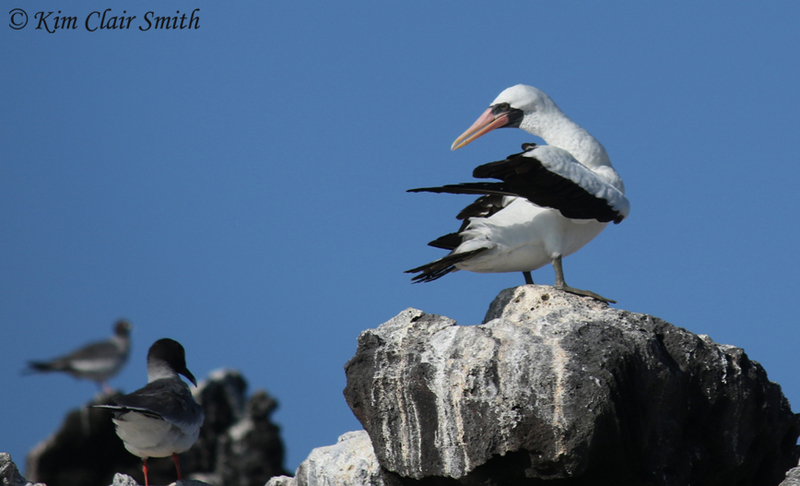 This entry was posted in Birds, Travel and tagged bird, booby, Ecuador, Galápagos, Travel, wildlife. Bookmark the permalink. Glad you liked them, Pattye! Your photos are sooo much better than mine!! Nice Job! Hey, thanks, Daryl! I bet it was easier for you to readjust to life in sunny Florida than it’s been for me coming back to brrrrrrrr Toledo, LOL. Yes, South Florida was not a lot different! If you want to join us on some trip next year take a look at https://activedivers.org/ and see if there is something that interests you. Like the videos! What a great experience for you!! Thanks, Mom! I might have more videos to share later, but I don’t have a very steady hand and some of them are too jiggly. Oh Tracy, the iguanas and lizards were my FAVES!!! I have so much more to share! Great photos and video clips! What a fabulous adventure! Those video are excellent, Kim! What an an interesting and sedate mating dance. That male pride cracked me up (after mating) – he sure did look quite full of himself! I can’t wait to hear more about your trip! And I can’t wait to tell you more. So many photos, so little time! Oh Marian, thank you. I’ve had friends at Toledo Naturalists’ Assn express interest in a talk too, so I may end up doing one of them. But that will be a long ways off — my thoughts about this trip are evolving on a daily basis and I’ll probably want to have a bit more perspective on it before giving any talks.